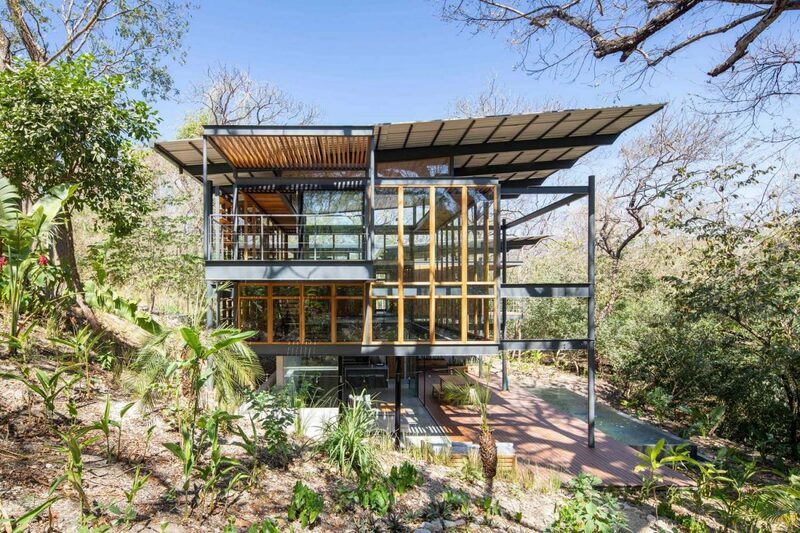 The client commissioned Studio Saxe to create a dwelling in the jungle that brings the outside in. 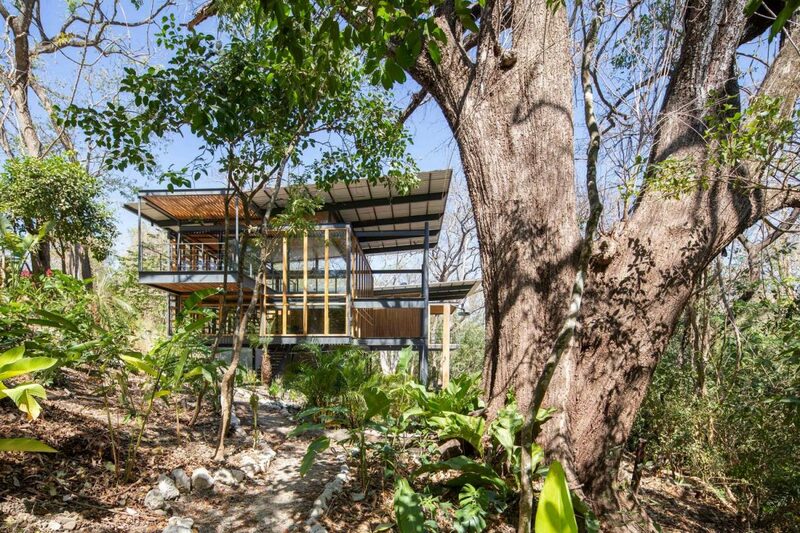 The property was composed of a slope that went down into a beautiful creek that overlooks the jungle. 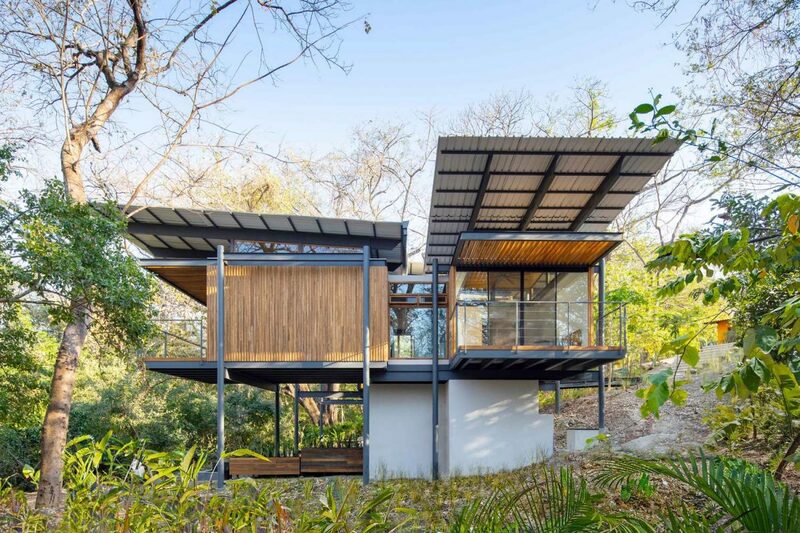 Studio Saxe decided to create a large triple height space to be able to see the sky all the way from the bottom of the jungle floor and to appreciate the full scope of every tree that surrounds the house. 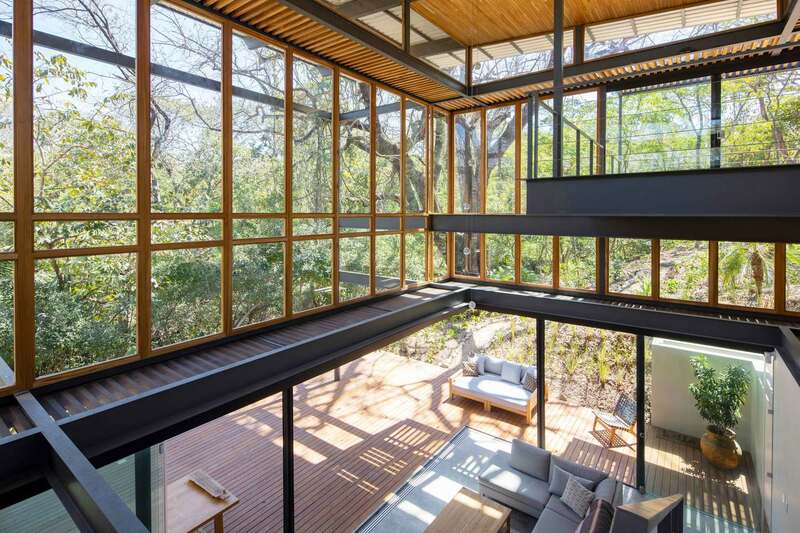 This volume of space enclosed in glass is a powerful moment that brings shadows inside, natural ventilation and provides a place which is always surrounded by the jungle. 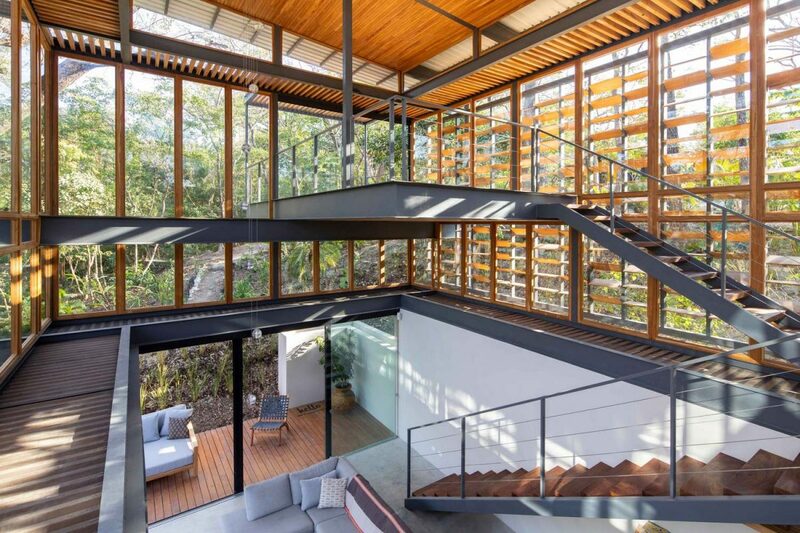 The counter-intuitive design thought of sinking the house in the ground and at the same time creating a vertical atrium, that creates a powerful moment of discovery when one enters the house. 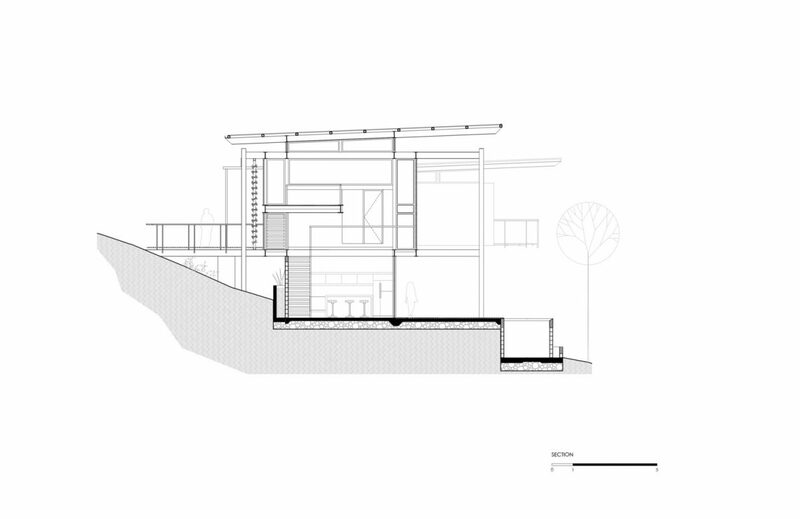 The house is composed of bedrooms that float over the landscape and a common living space that feels inside and out. 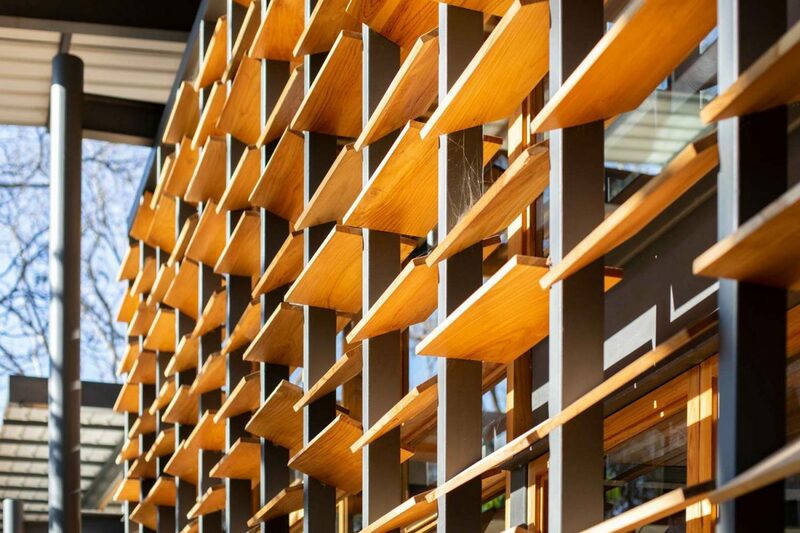 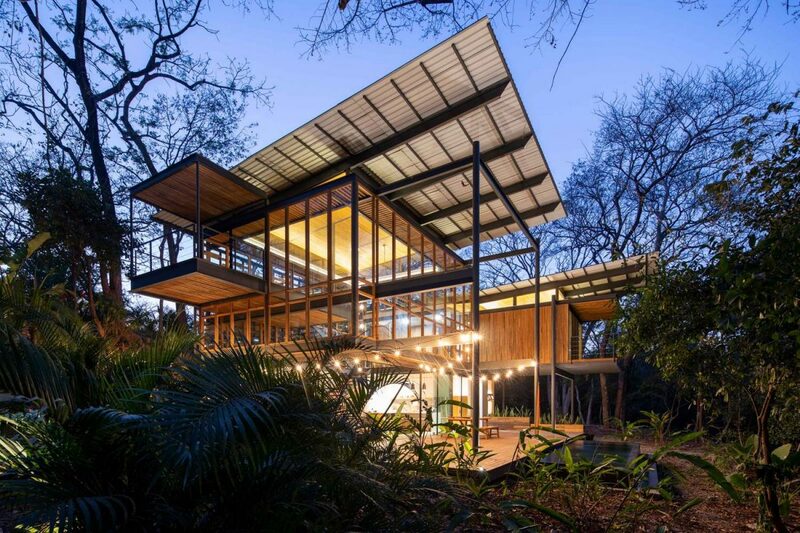 The spaces are all housed within a large roof that creates shade and comfort. 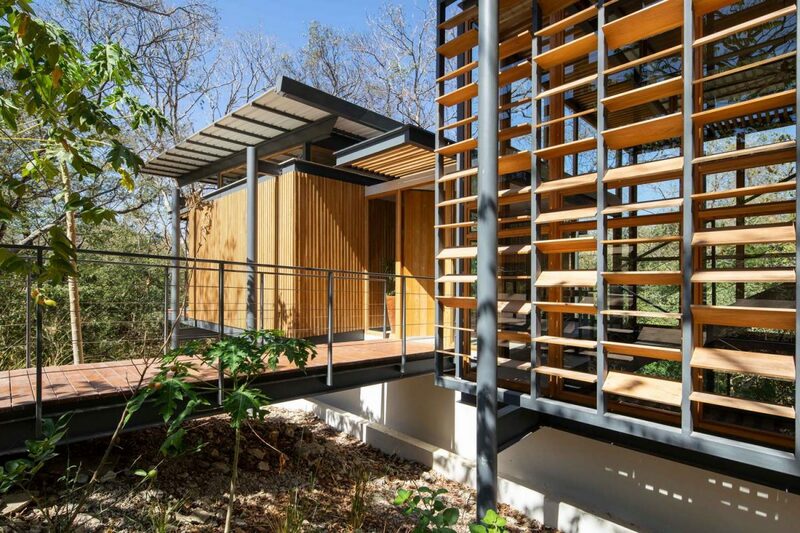 When working in a site with abundant vegetation and on a slope, one is tempted to put all living spaces hovering over the landscape, however we made the very conscious decision of grounding people to the forest floor in the main living area. 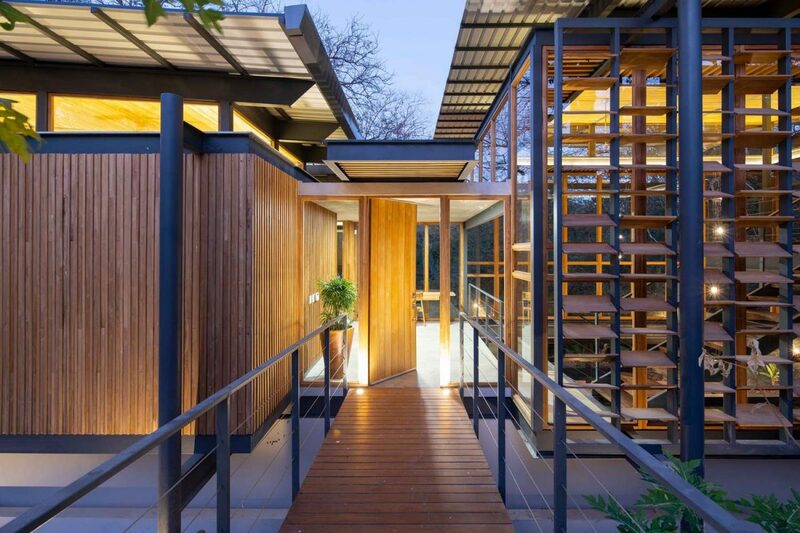 This allowed us to then be able to create a dramatic tall space on top of it, in a way almost counterintuitively bringing the sounding forest much more strongly to the inside of the property. 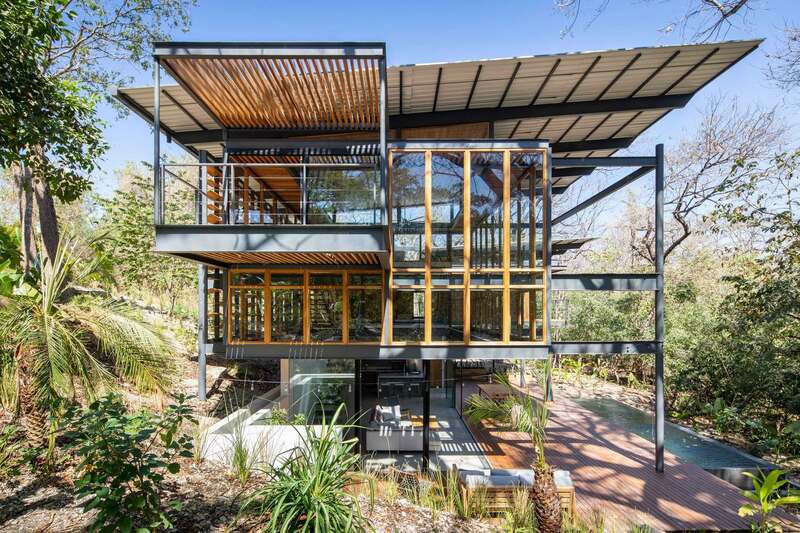 This creates a stronger connection between human habitation and the natural world that surrounds us. 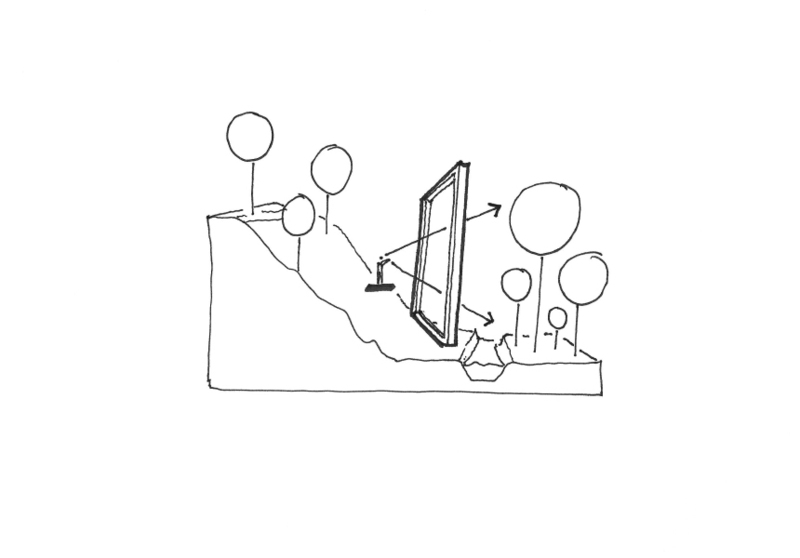 It would be very easy to build an air conditioning white unit; however, we decided on the opposite- to create a transparent object that does not impose itself on the site but rather sits within the existing trees. 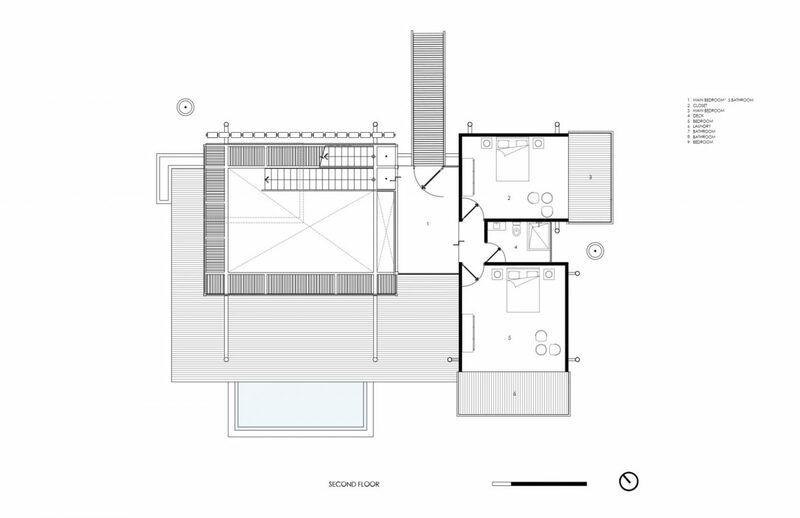 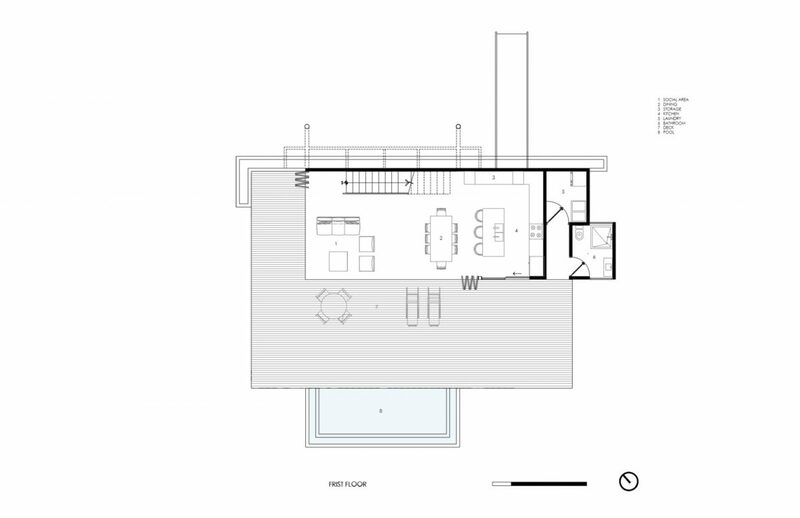 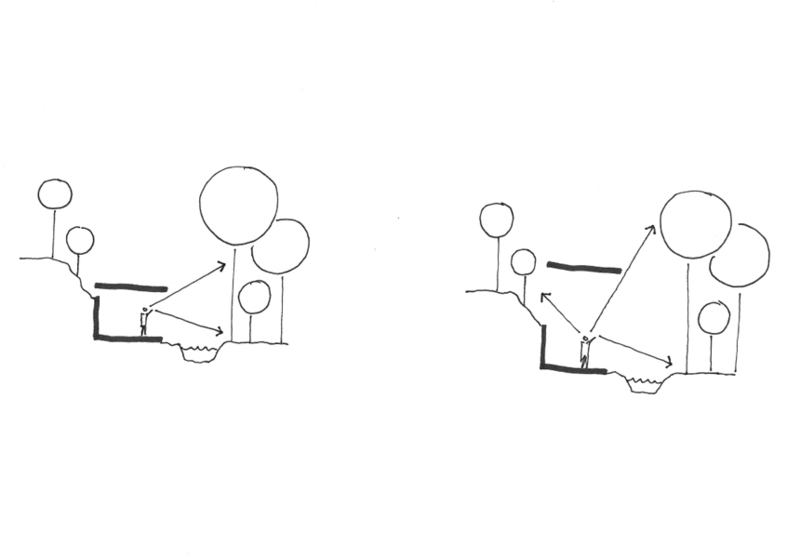 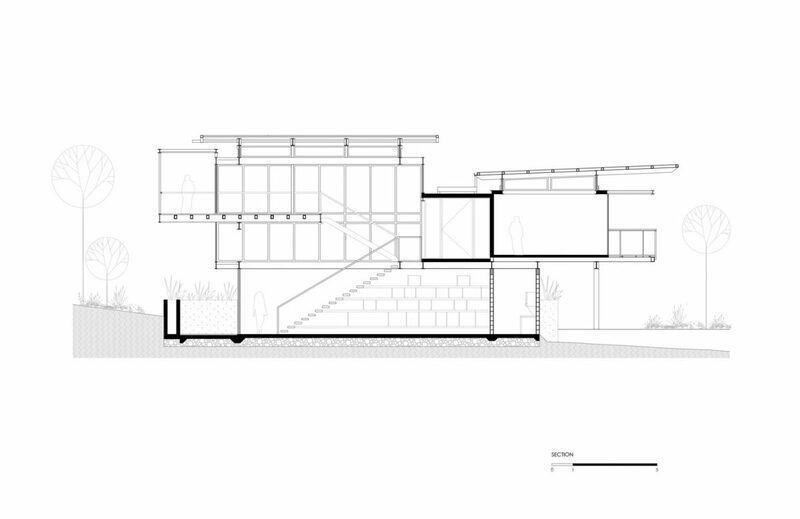 The geometry of the different elements of the house are then pushed, pulled and moved to adapt to the existing topographic conditions and existing tree locations. 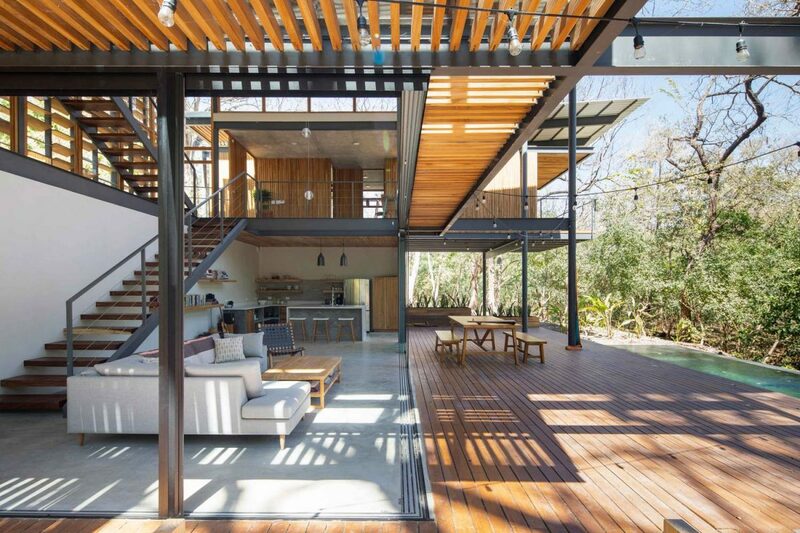 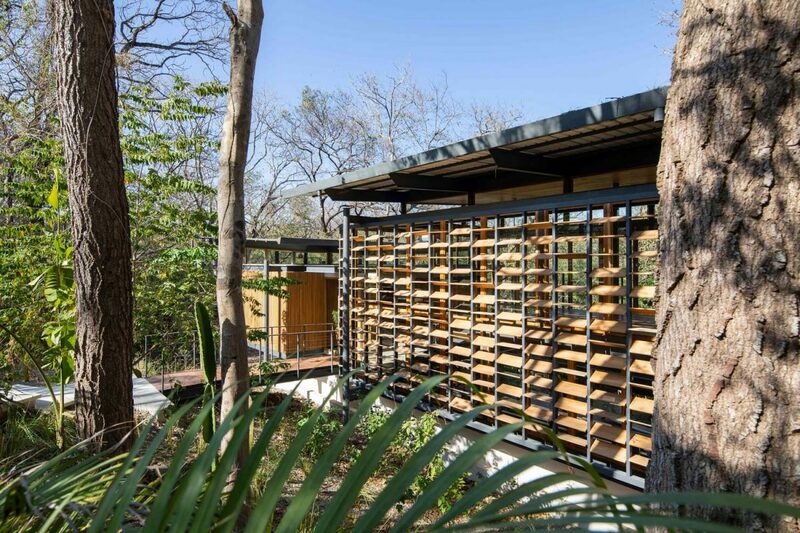 The construction method applied to this project consisted of large metal I beams that were prefabricated off-site and assembled in the property, therefore creating a light weight, sustainable and ephemeral construction process with very low impact on the jungle. 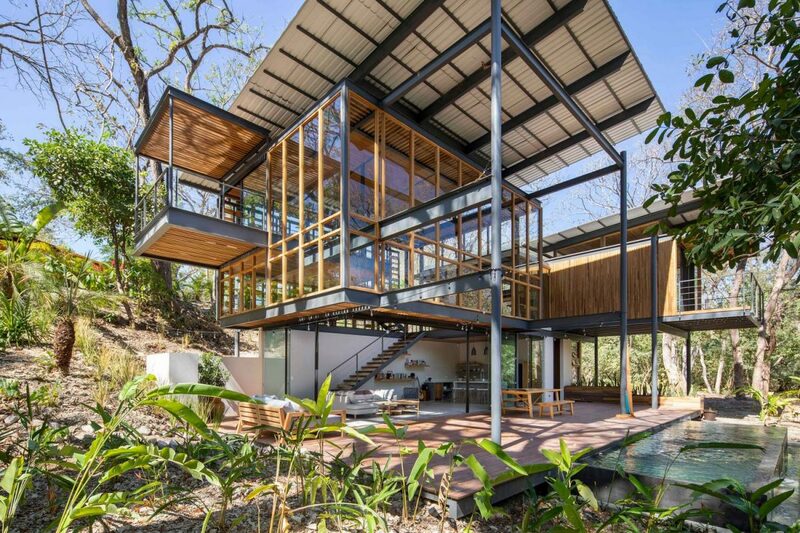 This method of construction allowed for a quick installation on-site, reduction of costs and extreme openness of lightweight tropical architecture. 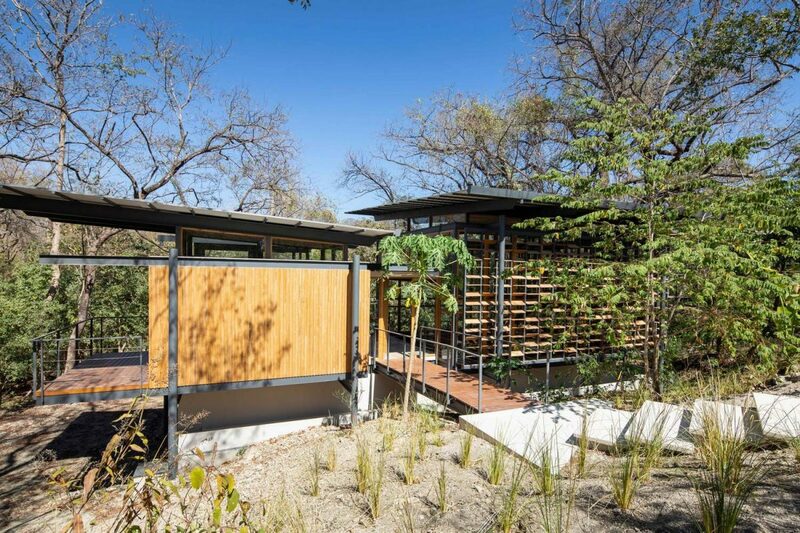 This modern construction method combines steel with traditional teak wood work techniques for panels and doors. 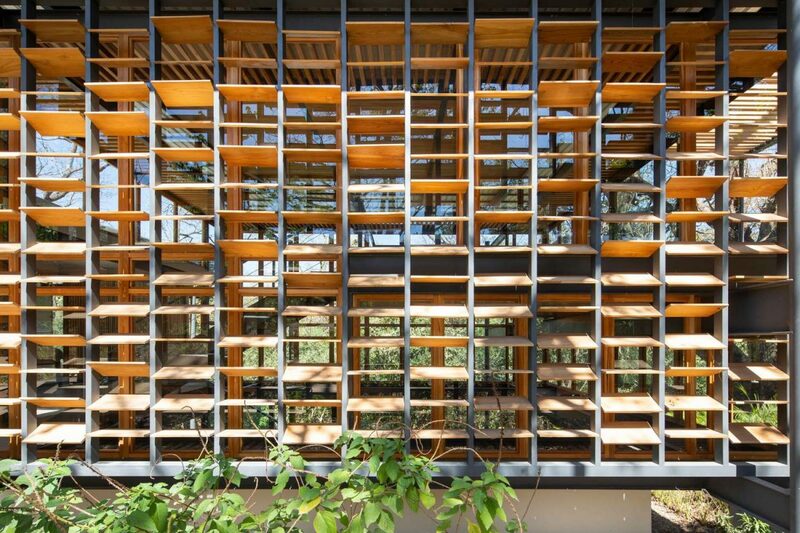 The project is conceived to protect itself from the sun in the afternoon through a beautiful louvered wall that filters light creating a specular effect of light coming through the leaves. 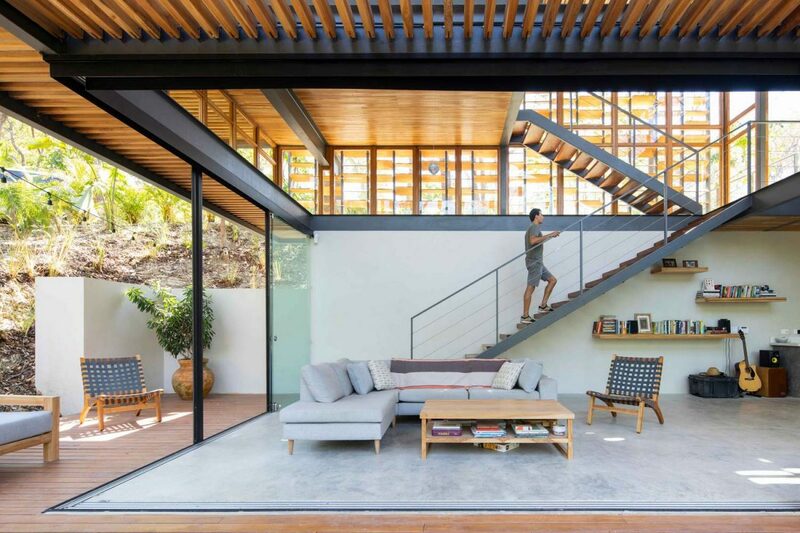 Carefully placed openings with a correct orientation allow for cross ventilation to create comfort without the use of air conditioning. 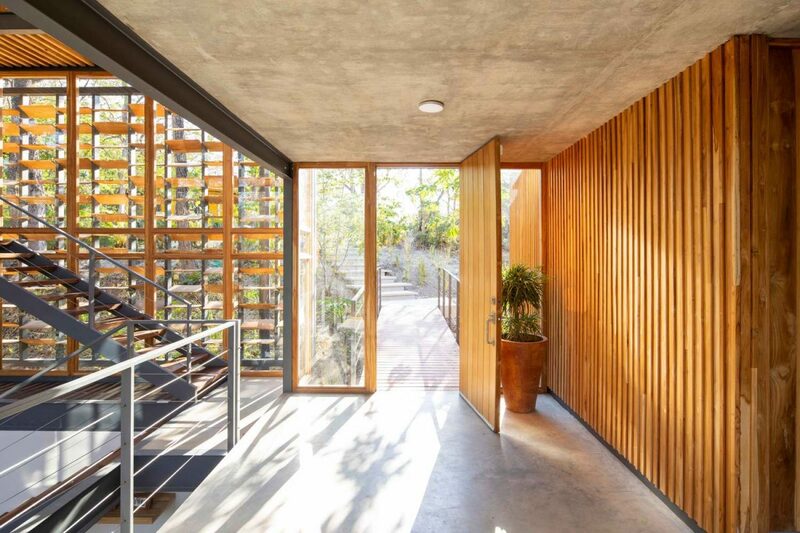 All materials where chosen to have minimum impact on site during construction as well as using reforested certified teak for the more natural elements of the house. 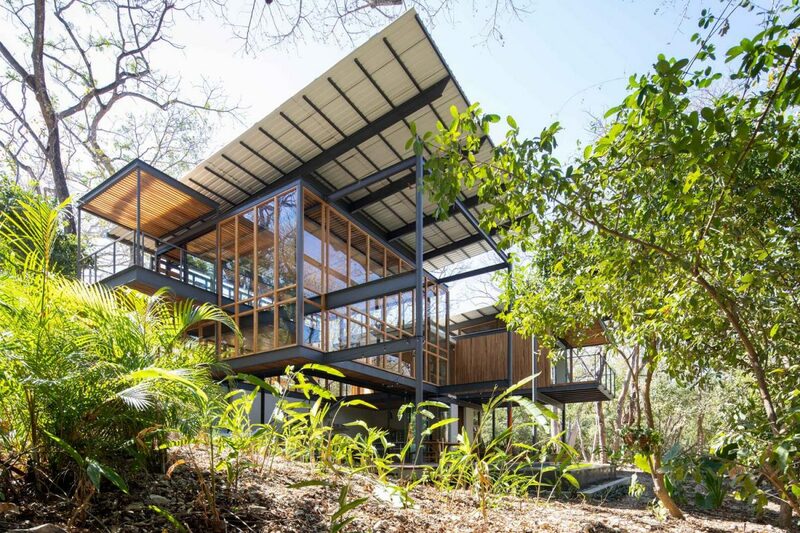 The use of solar hot water and solar energy is prevalent in the construction, therefore minimizing the carbon footprint.